Every year as the terms progress I always think that we will not be able to put together another Languages Show for Founder’s Weekend and every year I say to myself that this will be the last time we do such an event. This year at the end of our one hour show riding high on the success of all the amazing acts I had just seen I put away such negative thoughts. Showing off what we do and what can be done in languages is a pure joy and important not just for pupils to show their parents what they are capable of but to show the younger years what can be achieved with hard work and practice. The show started with a rousing rendition of “Un cocomero tondo tondo” sung and danced by year 9 who have had just one year of Italian under their belts. The audience loved to hear about the little watermelon who wanted to be stronger. This was not the only song we enjoyed. Another year 9 group sang in Chinese. No small feat when you think that they have only studied the language for a year. “Grandmother’s Penghu Bay” was a winner with the audience. We also enjoyed some beautiful solos in Indonesian, Italian, German, French and Chinese. The girls displayed no nerves and sang beautifully. The songs were just half of the show. The audience were delighted to hear some impressive presentations on a variety of themes in different languages. Alex in year 7 talked to us about her passion of La plongée sous-marine”, Gwen talked with great confidence and knowledge about her home area of Hong Kong – she did this in German (Mein Wohnort) and India gave a detailed account of Simón Bolívar in Spanish. To talk to an audience in your own language takes confidence, to talk in a foreign language is no mean feat. Year 8 then impressed us with their home-grown play “Les Jeux de la Faim”. Clearly inspired by the Hunger Games their play was fast paced and amusing. Who knew that blackberries could be so lethal? For the first time our show included some video work that the pupils had undertaken in an independent project. Year 9 produced and acted in their own production of Prévert’s Déjeuner du matin. A remarkable effort. Year 8 put together some short clips using a number of apps to talk about how their lives have changed. Moving from France to Russia we were treated to a whirlwind tour of Russia in three minutes. This was rather tongue in cheek, delivered entirely in Russian, but was easy to follow due to clear pictures and perfect timing. 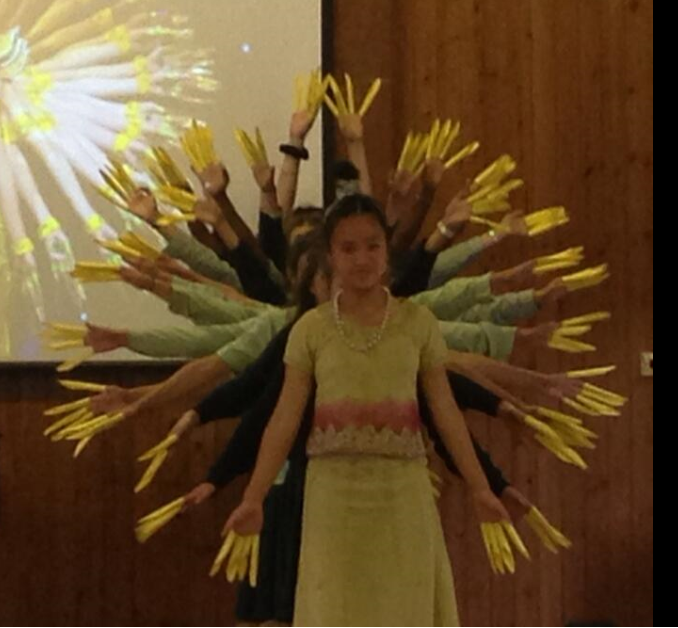 Then on to a wonderful – never before attempted at Downe House – Chinese Buddha dance. The audience were duly dazzled. 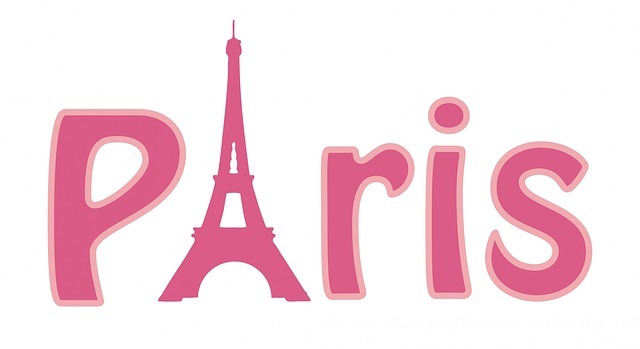 Finally our show came to an end with Lucie’s presentation about French being the language of love and Paris the city of love. There was little disagreement with Lucie’s sentiments but after hearing her speak few would have questioned her views.